“Imagine having a home in such beautiful place. You’re not too far from the busy city yet you come home to a peaceful abode. 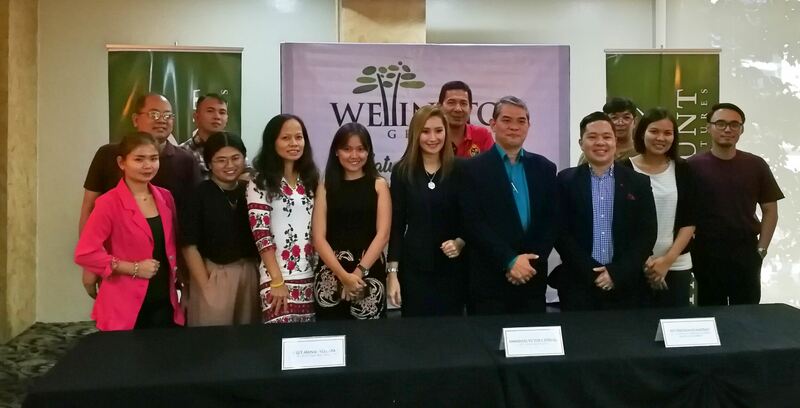 In this new project, we say that you can breathe and live green,” Arli Arenas-Vergara, PPVI Vice President for International Operations, said during the media launch of Wellington Greens last October 17, 2017. WELLINGTON GREENS. PPVI Senior Vice President Emmanuel Victor Estrella says the community is also designed to be an intelligent one: the units will be built as smart homes with a modern security system and provision for the use of solar panels to answer daytime electric consumption. A landscaped gateway with guardhouse will lead to an activity pavilion, swimming pool with sun deck, dual play court, playground for kids, jogging trail and meditation garden. PPVI Senior Vice President Emmanuel Victor Estrella said the community is also designed to be an intelligent one: the units will be built as smart homes with a modern security system and provision for the use of solar panels to answer daytime electric consumption. “We have an automatic entrance gate also equipped with security cameras and there’s wifi connection in the amenities area,” said Estrella. Wellington Greens is the newest project of PPVI in the northern part of Cebu and the first out of a partnership between its mother corporation Cañedo Equity Ventures Inc. (CEV) and the Norkis Group of Companies. Positioned for the mid-market bracket, Wellington Greens homes cost from P2.1 – P6 million but with more units priced in the P3 million range. “Our target is the growing middle class in Cebu. We continue to expand in this market for the next five to 10 years,” said Rey Maribao, CEV Vice President for Strategic Corporate Planning and Business Development. Green living is not a new concept for PPVI, but it takes the advocacy to a new level with Wellington Greens. “People these days are getting busy with work. They travel and go somewhere else to relax. But when they return from vacation, reality strikes — you go back to work and earn the stress again. And so we thought of a community where homeowners can enjoy a nature escape everyday. This is the concept of The Wellington Greens. It can be your weekend home. A Sunday home where you can relax but what if everyday is a Sunday? That’s how we envisioned this project,” Arenas-Vergara said. Estrella added that Compostela Mayor Joel Quiño also embraces the concept of Wellington Greens.